So here we are, the tinsel is packed away, 2018 has started with high energy, and we here at The Amazing Blog are raring to go and soak up something new and vibrant. 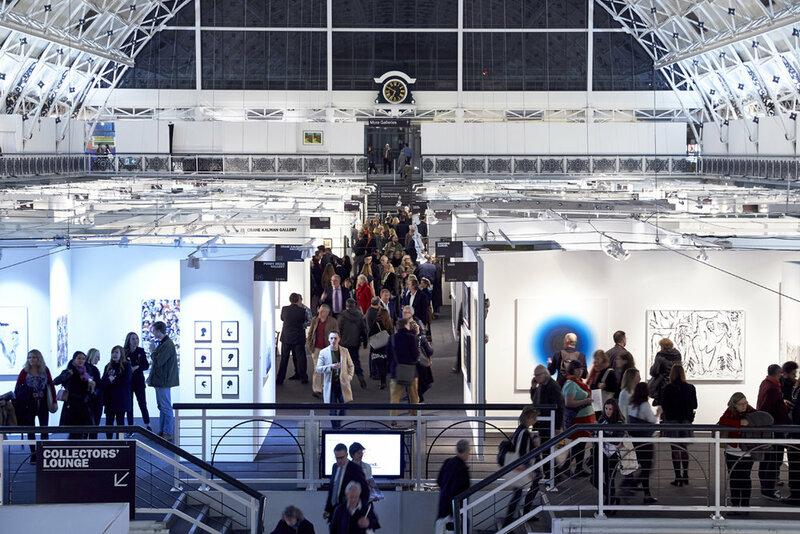 Just as well then that the annual London Art Fair opens it doors on the 17th January, and keeps them open for all us culture vultures until the 21st - book your tickets before the 15th January and you get 40% off … now let’s keep that queue orderly shall we? Whatever your taste in Contemporary Art, there will be something here for everyone - check out Beaux Arts Bath on Stand G20 for some seriously intriguing work, or Charlie Smith London on Stand 38A for selection of something a little darker. We will be making a bee line for Galerie Olivier Waltman on Stand G06, as they are showing some seriously delicious pieces, and with a base in both Miami and Paris - what’s not to love? Of course alongside all the fabulous art on show, being situated at The Business Design Centre in Islington, also means a plethora of choice in restaurants and bars in the surrounding area for refuelling. But of course inside there is the obligatory Champagne Bar for those of us who feel the need, as well The Photo50 and Jack’s Café offering something altogether more wholesome … However, if people watching is your thing - it certainly is ours - then Jack’s Café with views over the whole shebang is also on the menu. We'll look forward to seeing you there!